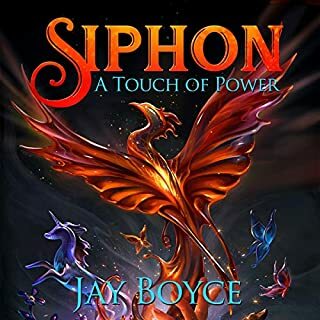 Simon can only watch, helpless, as his family is killed and his friends are captured by enemy Travelers - men and women who can summon mystical powers from otherworldly Territories. To top it off, another young man from Simon's village discovers that he's a savior prophesied to destroy evil and save the realm. Prophecy has nothing to say about Simon. He has no special powers, no magical weapons, and no guarantee that he'll survive. He sets off anyway, alone, to gain the power he needs to oppose the Travelers and topple their ruthless Overlord. It may not be his destiny, but Simon's determined to rescue his fellow villagers from certain death. I enjoyed this book tremendously! I would recommend this book to all fans of fantasy and people who enjoy reading books that are unexpectedly funny and heroic. I really liked the author reading the book as his inflections were great as were his accents. He needs to work on his female voices but otherwise a very enjoyable book! I first ran across this writer as a cheap book on amazon's kindle books, paid a few dollars and thoroughly enjoyed this tail about the chosen hero who isn't all that good at being a virtuous hero and a unpopular unremarkable looking guy who also decides to go rescue their people and find power even though he wasn't born the chosen prophesied hero and gets it through dangerous and nearly lethal hard work only for them both to realize how naive they both were wen they finally come to the rescue and realize life isn't like a story where you arrive in the nick of time and you get the girl in the end. They both come at it from a different place but it is very interesting and I'm glad the author decided to narrate his own work, he did a great job, only need for improvement is when he does female voices . The series gets better with each book. Get themas they come out. WHERE DO YOU FIND SAND IN THE DESERT? When ever I quit a book early, I feel guilty. I hate quitting and I hate giving negative reviews (even though I write a lot of them). I wonder, was I just in the wrong mood, my head in the wrong place, why am I not enjoying this. A lot happens in this book and it happens fast. You do not have to wait on the action to start. I guess there are some writers who can put me into the action, make me feel and some who sound like they are making a list of actions. My mind kept wondering through this and before two hours were up, I switched over. I switched to THE BLADE ITSELF BY JOE ABERCROMBIE and I was immediately into the story. Sixteen hours later I am still being entertained. It is unfortunate that newer, less popular authors have to read their own books. Some are okay at it, but some not so much. WW is not bad, but his voice is so not in the mood of the book. He seems happy and care free, as he reads about a kids father being killed. A good narrator can make such a difference, hopefully WW will make enough money to pay for a good narrator. What did you love best about House of Blades? The world building and magic is unique, I've not come across anything like it. It was a compelling listen. 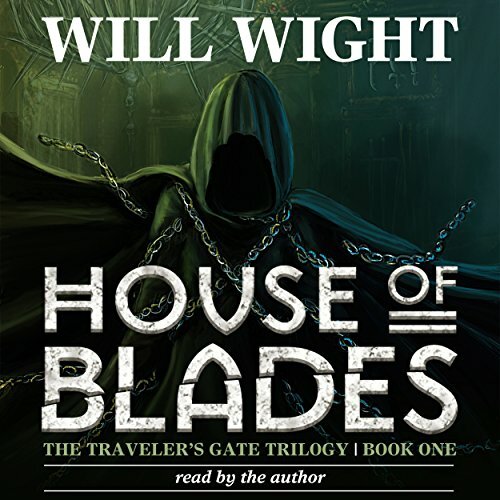 Would you listen to another book narrated by Will Wight? I will but only because I want to know what happens in the series. 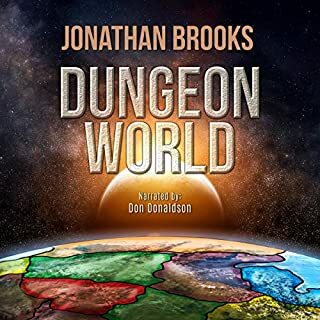 The narration was the weakest part of this audio book. Will Wight reads too quickly at times and isn't great at voice characterization. What made the experience of listening to House of Blades the most enjoyable? Quirky characters (I just wished they were more prominent in the series of books with more depth than some of the stereotypical hero/villains. Like Kai and Benson). And the story wasn't that predictable. It kept me entertained enough to purchase the next two books. I thought it just got better and better - almost as if a plausible fantasy/action movie. Simon is my favorite character. He isn't born with special powers and/or talents. He actually works, painfully, many times, to earn what he gets. His sheer determination to gain the necessary skills to help his friends, family and others from his village is highly commendable. What about Will Wight’s performance did you like? I had a difficult time distinguishing: 1) when a character was talking; 2) which character was talking 3) when a character was pondering thoughts to themselves. He spoke rather clearly, but the cadence was sometimes quicker in random and obscure spots. Although I've read the 2nd and 3rd books, I would purchase the audio versions when it becomes available. I would hope that they/he may hire a woman that can at least do the female character's dialog. That at least would clear up some audio listening confusion. Yes. Once I started, I rarely stopped. Fun for all ages. I wish there was a detailed version in any of the books of the "Prophecy". Read by the author the author doesn't do a bad job at reading the story. Not a big difference between male and female voices though. This is a YA book if not ment for Jr. High readers easy to read and not very deep. The description of scenery is poor and all the characters are shaky. 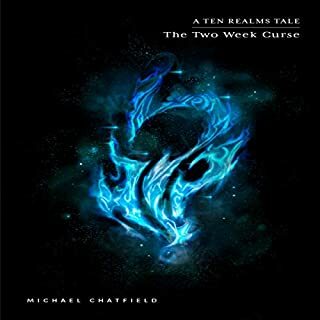 The only interesting parts to this book that kept me reading to the end was the magic system which was unique and interesting enough to keep me reading, and the spitting in the eye of the overdone epic fantasy. Other characters than major role playing characters were unrealistic in their reactions to danger. If you like YA you might like this book but if you want somehting deeper than that keep looking. Yes, its worth the time to listen to. I would recommend waiting till more in the series are released, as the author leaves this story hanging at the end. The ending left me hollow. 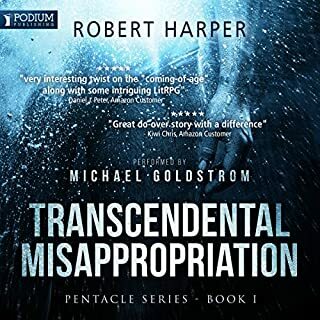 It felt like there were 50 or more pages left to listen to, but the author was running short for the next book and decided to just wrap things up here. ....like a korean drama. I fully expect the first 1-2 hours of the next book to expound on everything in this book, and then continue with the story. I did like it, but its just..."bad form". Did Will Wight do a good job differentiating all the characters? How? A decent job, his voice was less annoying then some of the authors I have previously listened to. However, and I can only guess this is because the author is reading his own material, the cadence/rhythm through the book never seems to change. By the end of the book, you pretty much know there is a contradiction coming in by the authors tone. Yes, but you are not lost if you let it sit for bit. Very original, I love this series! 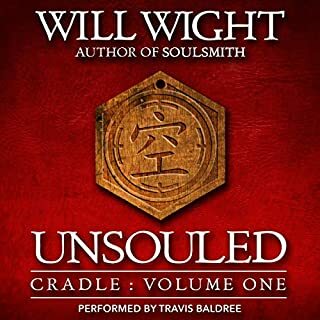 I originally read this on my Kindle app a few years ago, and kept asking Will Wight on Facebook when it would come out on Audible. He kept saying be patient. Well, I was, and it was worth the wait. I love the originality of the story, the idea that the Prophesied One is from the main characters village, bound for great things, but Simon, the main character, has nothing said about him. Well, he doesn't take that lying down and goes about getting the power he needs to help his friends and get a little payback as well. The characters in the book are engaging, with a lot of shades of grey to most of the characters to make them a little more complex and realistic. The magic system, made up of Travelers drawing power from different dimensions is very creative, especially as it is explained just how they gain their powers. The plot twists and turns, and you can actually find yourself rooting for any side at different times, although some characters are just loathsome, in a well drawn out way. 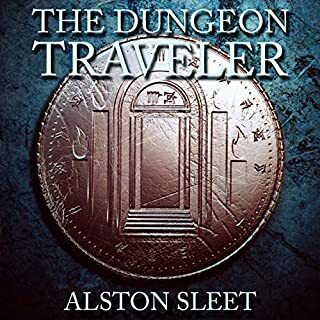 Anyone who likes original fantasy, sometimes dark, sometimes light and funny and not just your average cookie cutter epic fantasy will enjoy this book. I can't recommend it highly enough. This far surpassed my expectations. It was absolutely fantastic. A few said that the narration was bad. It isn't. Each character is has a distinct voice and the narrator has very good pacing and no annoying voice tendencies. I really enjoyed this book. I only rolled my eyes once or twice which is refreshing in a fantasy novel. This first book of the trilogy was very enjoyable. I really liked the original concept behind the powers the travellers used. I very much enjoyed the interplay between the traditional idea of the hero who is prophesied to save the world, and the one who just wants to do the right thing. Each of the characters was three-dimensional, each having their goals and priorities. Though the twist in the end caught me by surprise. Looking forward to reading the other two. in addition, the author did a very good job of narrating it. usually I'm a bit apprehensive about authors narating their novels, but in this case my fears were unfounded. Each character had a distinct voice owed as much to the writing itself as well as the narration. My only dislike was the fact that the book wasn't longer. I would recommend the house of blades, to anyone who is willing to try a nu entertaining read. Fantasy enthusiasts mostly. I'm hoping that the third novel in the trilogy is going to be recorded fairly soon, as I'm just about to purchase the second.